It was bitterly cold this morning but before breakfast the power was tripping off and on several times. I managed to cook us scrambled eggs on toast and then the power went off completely. 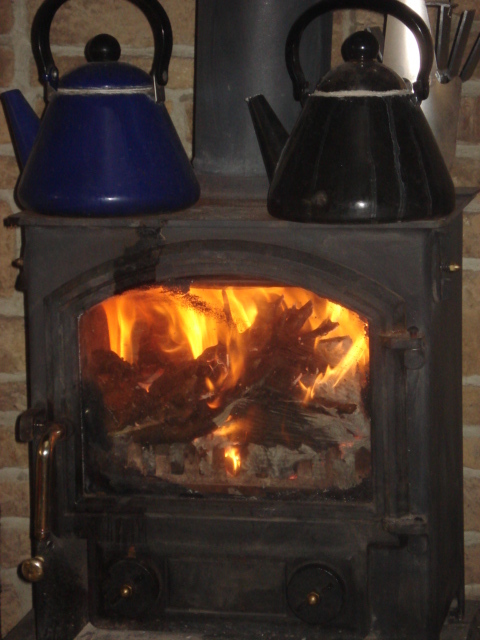 We went to get the paper and then made ourselves a hot coffee using the kettle on the woodburning stove. After reading the paper for a while we decided the best thing to do in a power cut was go down the pub!! When we got there they too had a power cut and had lit several candles around the place, quite appropriate for a pub called “The Candlelight”. We found out from Western Power that there was a problem with a transformer down at Keats Farm in Bishopswood, and as we drove to the pub we saw the men up the telegraph pole working on the problem. Most of the cables are overhead cables here in Somerset, so occasionally there are problems. We were told the power should be back on by 1.30pm. 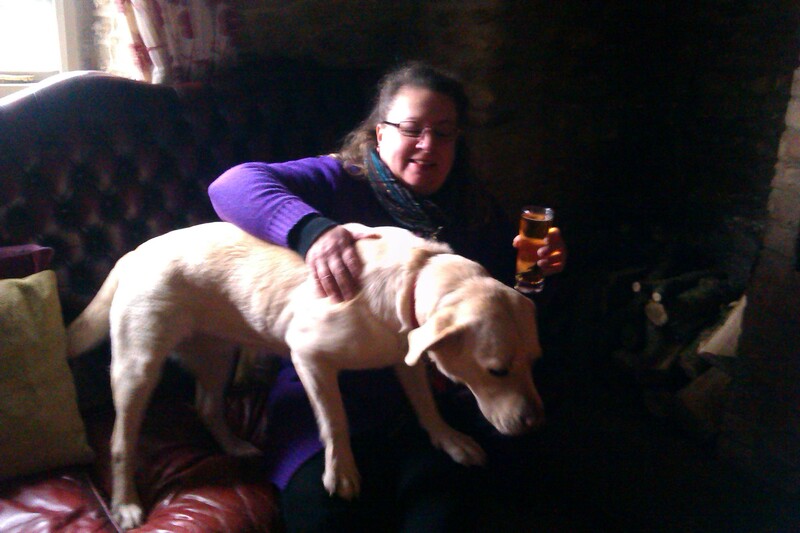 We settled down on a sofa near the woodburner, only to be accosted by the owners new 15 month old Labrador called Poppy. Poppy was a rescue dog who had been very overweight as she had not been walked much and fed too much. The pub owners had had her now for 5 weeks and she had already lost some weight and gained some muscle mass. She was very friendly and really took to us. 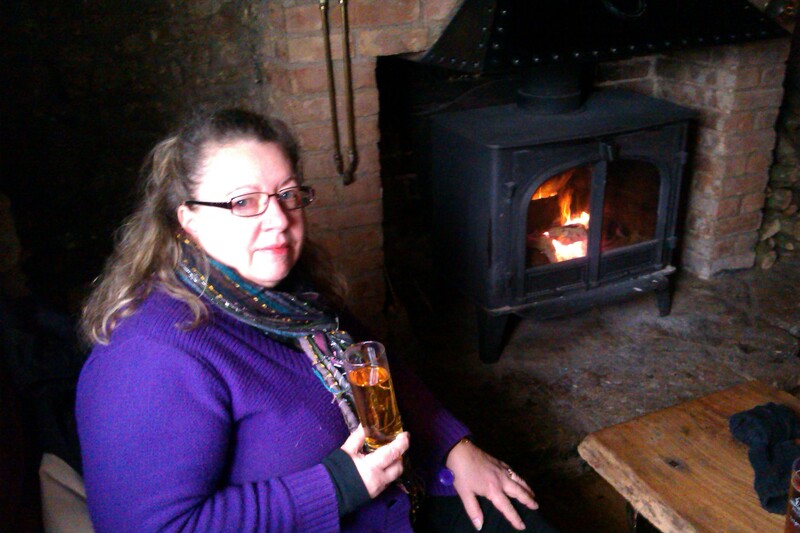 We enjoyed sitting in the warmth with our drinks and talking to other locals about the power cut. The pub had lost all its lunchtime meal trade as they couldn’t cook without electricity. (There is no mains gas in our villages). At about 1.35pm the lights came back on and there was a huge cheer in the pub. We were lucky the power was not off for longer as it would have made cooking the roast dinner impossible this evening!! There’s nothing like a roaring fire when it’s bitterly cold outside. Our multifuel stove in the dining room heats the core of the house. We have an old stone house and you need to keep the centre warm in the winter. We burn both wood and coal, well nuggets of Taybrite and Ecocoal to be specific. Most of the wood comes from the trees in our woods which Neil cuts down in the Spring, then leaves to dry out, then cuts into small enough pieces for the stove. We have a couple of kettles on top of the stove, which boil water for cooking or tea etc. We can also cook soup, or stews in a pan on the stove top, so if the electric goes out at least we have some means of cooking. 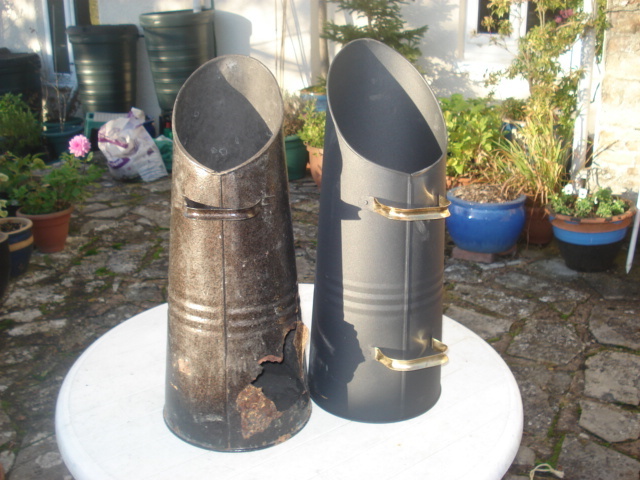 So with our wood pile, our stack of coal, our new coal scuttle we are all set for the winter.